Fast stats…Did you know that 70% of website visitors retargeted with display ads are more likely to convert on your website? And that 3 out of 5 online buyers said they notice ads for products that they looked up on other sites. 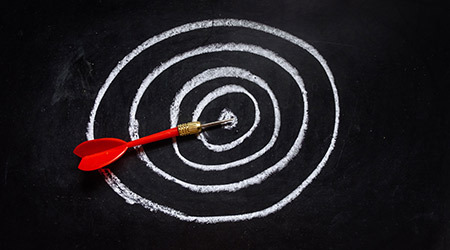 Retargeting is a simple, but effective process. Here’s how it works. That’s ad retargeting, and it successfully keeps your brand in front of highly-desirable prospects across the web. The challenge has always been that you have a specific message you’d like to get in front of FMs, but you can’t target them via general interest websites. With our retargeting offering, now you can target them. Your goal with retargeting is simple -- build brand awareness with FMs on the sites that they visit every day…. General interest sites like ESPN, Weather Channel, USA Today, etc. Want to make your retargeted ads even more successful? Here’s a simple tip that will help you generate bona fide leads. Instead of repeating the same old creative they’ve seen before, make your retargeting ad incentivize the FM. Present a voucher code—or offer exclusive after-sales services. Give prospects something of value in the ad that pops up on ESPN on Weather.com. We offer retargeting to help companies who advertise on FacilitiesNet.com stay in front of visitors on a more frequent basis. Our Retargeting services deliver ads to facilities professionals after they have visited FacilitiesNet.com. Users who visit our site are tagged with a cookie. This cookie allows you to anonymously ‘follow’ the user all over the Web. So when users leave our site and go to other sites such as YouTube, ESPN, Politico, etc. they will see your ad. Retargeting is effective because it focuses your ad dollars on a highly-targeted, relevant group of professionals. Repeated viewing of your brand delivers a higher ROI than from other digital channels. If you want to learn more about Retargeting, email, InMail or call me.